During the second week of October, the Educational Technology Department hosted two members of the Canvas support team: our Customer Success Manager, Brianna, who will be responsible for managing our Canvas account throughout its life, and our Implementation Consultant, Greg, who will be assisting us in setting up the system for faculty and student use. The purpose of the on-site visit was to share information and resources that would ensure that FSCJ’s IT team was progressing towards a successful implementation of Canvas here at FSCJ. We had three days of meetings scheduled, covering wide-ranging topics such as PeopleSoft integration, log-in authentication, faculty and student training, support portal setup and course migration. Much of the two-day visit was spent working on the two most technical (and most immediately important) parts of the implementation process: Authentication and PeopleSoft integration. If you are not a person with an interest in college IT processes, the terms “authentication” and “integration” probably don’t mean much to you, but they affect the work that you do in the LMS every day. Authentication refers to the way that users log in to all college systems, so that each system knows who you are, and allows you log you in with the same password, showing you the same information that uniquely identifies you. In order for this to happen, each college system needs to be connected to our Active Directory, the database that stores usernames, passwords, email addresses, and employee IDs. When systems are connected to Active Directory, then user passwords can be created and changed in one place, rather than needing to be managed in each system individually. The setting up of PeopleSoft Integration involves creating a bridge between myFSCJ and Canvas that will allow the enrollment data that is created in myFSCJ to come over to Canvas fully and completely. Basically, all courses, users, and enrollments are created within myFSCJ through the encoding (courses), application (users) and course selection (enrollment) process. This data is stored in myFSCJ as our college’s system of record, but must be moved over to Canvas in order for students to take online courses. It is vital to ensure that a system is set up that moves the correct data over to Canvas at the right time with no interruptions. So, as you can imagine, getting these two processes right will have a massive impact on FSCJ students’ and faculty’s ability to use the Canvas LMS as it was meant to be used. Without authentication, users cannot log in to the system. Without integration, there are no users, courses, or enrollments! Once we had a firm concept of how to complete these two processes and our IT teams began doing the work, we moved on to discussing other issues that are much more visible and immediately important to our faculty! 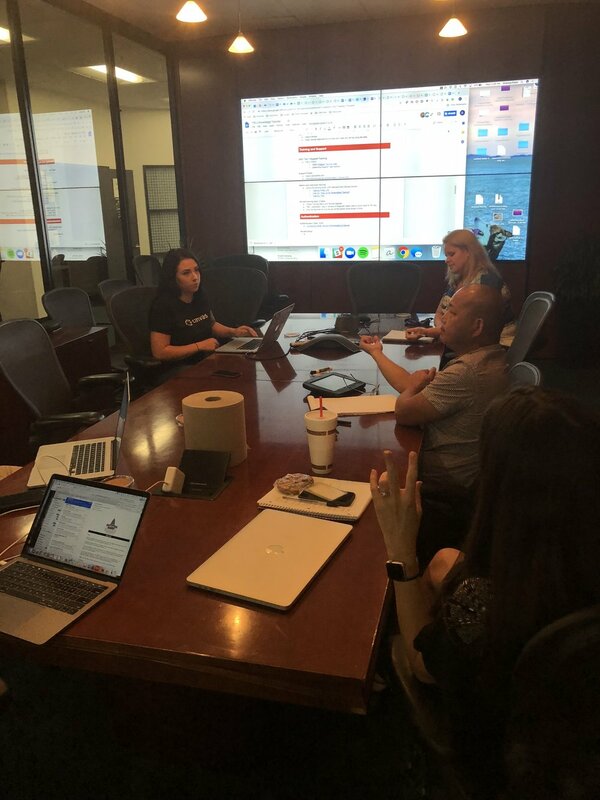 We had extensive discussions about content migration and strategies for successfully moving courses from Blackboard to Canvas with Greg, Brianna and the Center for E-learning Team. Our goal was to identify the best process for moving courses efficiently from one system to another without losing or scrambling content. We gained valuable information about the best practices for moving courses, what types of content can be moved (and which cannot) and information about whether it would be best for users to just start fresh. After this we sat down with the Information Technology Service Desk Staff to discuss the best approach on how to support our students and faculty with Canvas. For the first year of our Canvas rollout, our staff and students will have dedicated support from the Canvas Help Desk, via phone, email, ticket, or SMS. Canvas support has a response time of under three minutes in most cases, and can resolve most issues within 24 hours. Support will be available 24 hours a day, 7 days a week and all faculty have a dedicated line so that they won’t be confused with the students when getting their issues handled. We hope you're just as excited as we are for Canvas! If you have any questions or concerns, please reach out to us at edtech@fscj.edu. 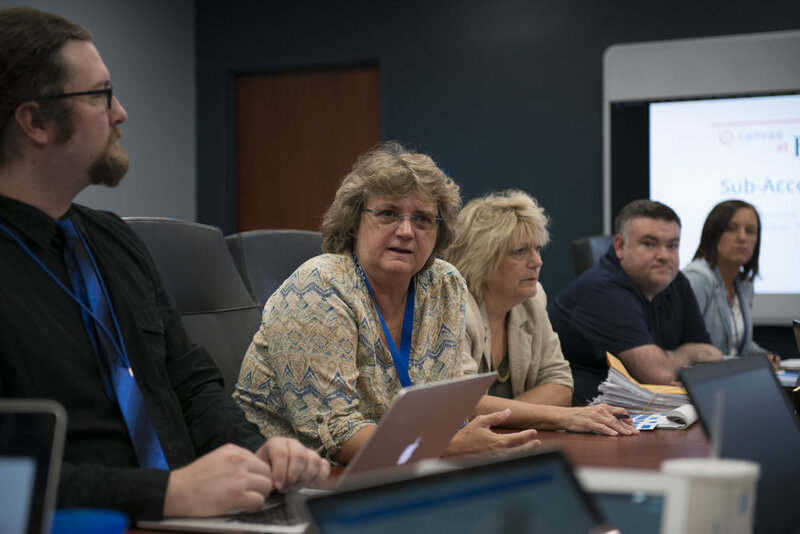 On September 19, the Canvas Transition Team held their second meeting, at which they really started to dive into the challenging work of making decisions about how to set up the new LMS. Because we wanted to start at the top level of the project and work down to the specifics, this month the team was tasked with deciding whether FSCJ would utilize a hierarchal sub-account structure for the overall LMS instance. Let’s pause for a minute to explain what this task actually is and why it is important. 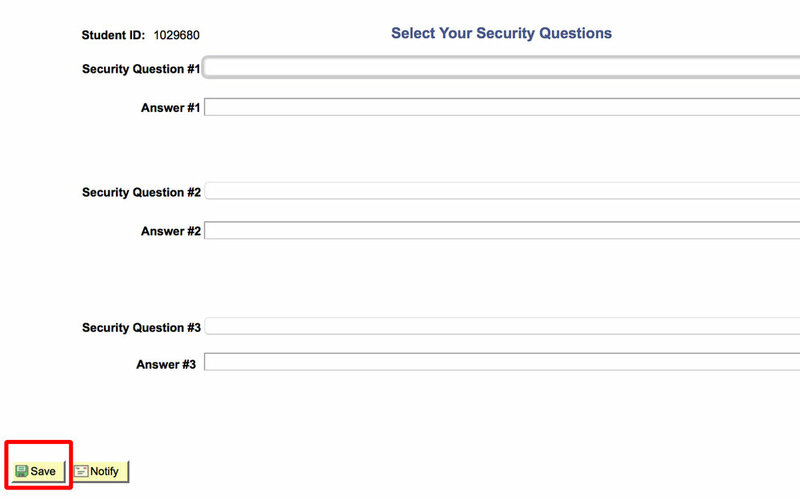 Currently, our Canvas LMS instance is like a completely blank, well, CANVAS (for lack of a better term). When a user logs in, they see the normal side navigation menu that one would expect, but it only holds fifteen users and fourteen courses. There is NOTHING in there—it is an empty container. So, before we begin to fill it up with courses and tools and content and students and instructors and all of the things that make an LMS a place where learning happens, we wanted to take a hard look at the structure of that container to see if we could find a way to divide it up. These smaller buckets would allow us to group courses by subject area so that we could deploy tools and user permissions more strategically, based upon the needs of our college’s varied academic units. Because (as we all know) FSCJ is an institution that serves an incredibly varied community of learners that often have drastically different needs and wants in our shared eLearning space. We landed upon the concept of the sub-account to help us create these smaller containers within the larger Canvas account. A sub-account is an organizational unit within Canvas that can be customized so that it may provide a slightly different experience for the students and instructors who are accessing the courses within it. LTI tools and resources can be made available to specific sub-accounts where they are used and users can have different permissions granted to them based upon their needs. In order to understand how this works for the user, it is helpful to think about the way that the physical structure of a traditional school is organized. Students all enter through the same front door and walk in the same common areas, but in a mathematics classroom, they may have access to tools like graphing calculators while in a science lab they may need to use beakers and graduated cylinders. Students can move from class to class easily, but the tools that they encounter and the responsibilities that they have change based upon the learning space that they are currently occupying. The access point is the same, but the experience within the class is different. The Transition Team was tasked with figuring out if such a structure would be desirable for the FSCJ community, and then to figure out how to set this structure up in a way that was logical, sustainable, and able to be automated. During the meeting Robyn Reese, our LMS Administrator, walked the team through a presentation that explained how to meet these three goals. In order to do this, the team had to figure out how to use the existing academic structure within myFSCJ (the SIS or Student Information System) to create groups that would also fit with the current structure of our schools and departments. As we progressed through the meeting, the Transition Team provided a great deal of valuable information about the level of structural complexity that they thought would be valuable for the areas that they were representing. As might be expected, it was found that certain areas of the college would require more dedicated sub-accounts for purposes of management and tool deployment. For example, in the Credit area, because of the variety of courses that are offered, we plan to pursue an sub-account organization based upon academic department. For areas like Professional Development, CWE, Not-for-Credit, and Clock, a simpler sub-account that encompasses several subject areas was thought to be best because it will allow for more management flexibility. Moving forward, the Educational Technology department will be meeting with the staff that oversees these areas to obtain more details regarding the specific structure and composition of the sub-account, as well as what support staff are used in this area and what LTI tools are utilized by their instructors. The Transition Team’s next meeting will focus on training and will be held mid-October.